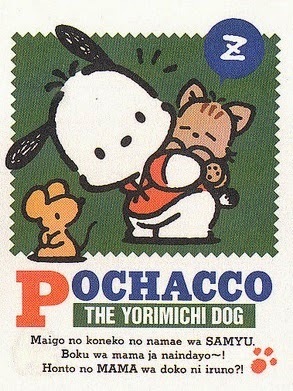 As my second favorite Sanrio character, Pochacco, is the loveable white chubby dog, who has captured my love and attention for years. 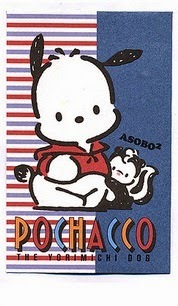 Aside from the other favorite classic characters, Pochacco has been with me since the very beginning of my childhood years. 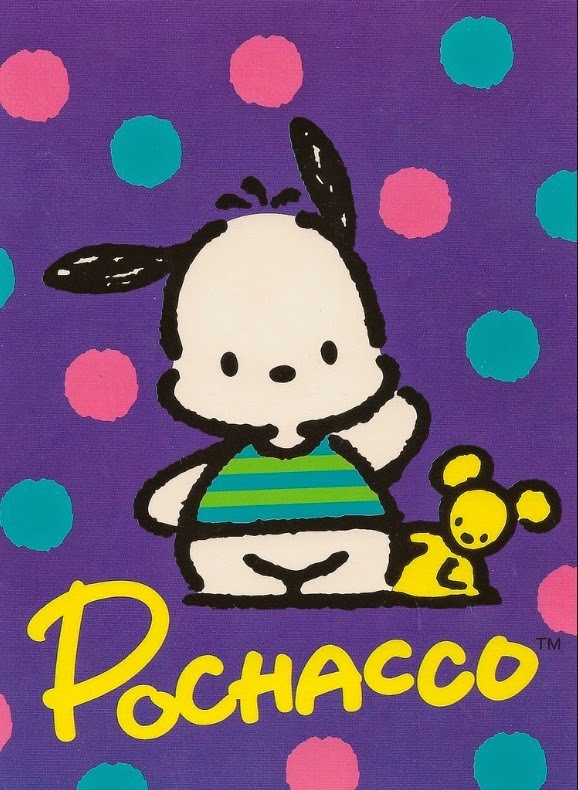 Through thick and thin, I could always count on Pochacco to be there when I visited a Sanrio store back in the old golden days. 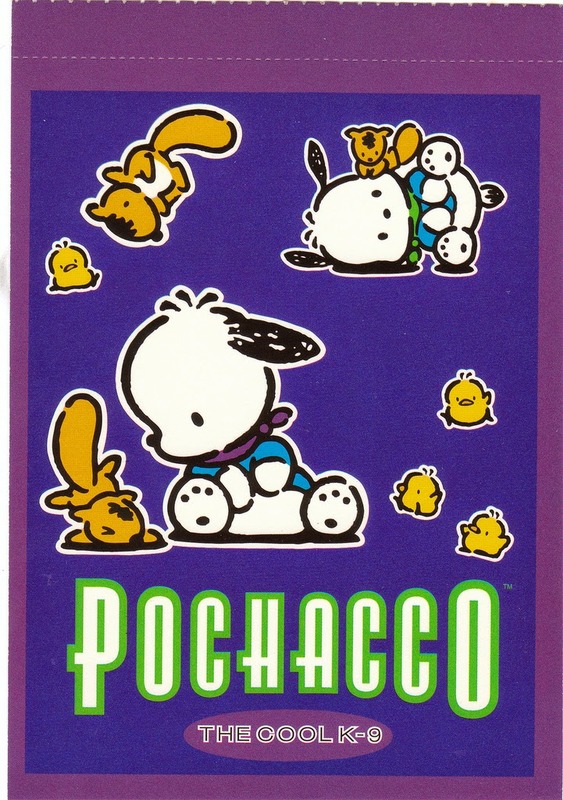 Nowadays, I can live through those precious moments by just looking up at my wall shelf, full of Pochacco items. Items that you can't buy anywhere else except through collectors-- that is if they're willing to sell them. 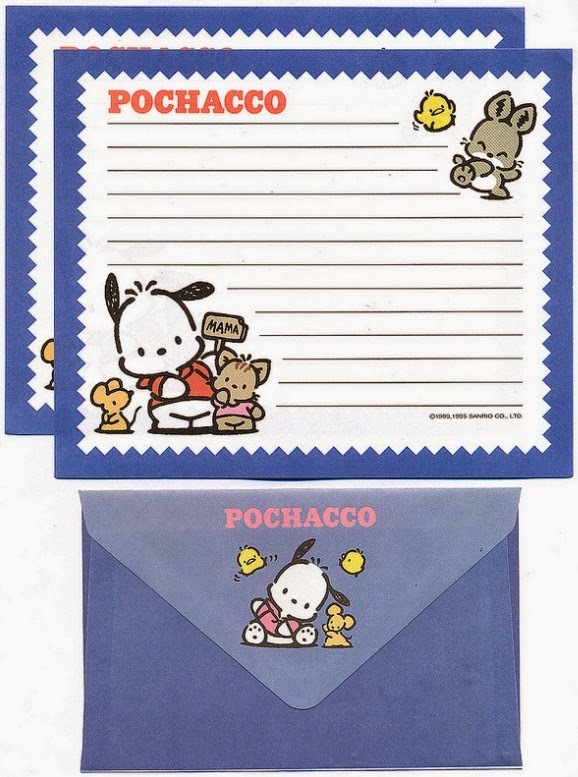 Classic Pochacco version will always makes us appreciate the good old days. I really do have a thing for polka dots! The color scheme combo works perfectly together. How can you not love Pochacco in a pink stripe shirt? Another blend of polka dots and stripe shirt. Change up of colors still works for this playful pup! I am not sure why I love this particular design. Maybe it's the Outer Space planet on Pochacco's t-shirt or it can be that I love how pink, green, and purple seem to go well together. I'm not much of a sports geek, but I love how playful this design turned out. The whole black ensemble design is very eye-catching. The design almost reminds of a painted canvas with white trimmings and a style that fits the 90's to a "T". 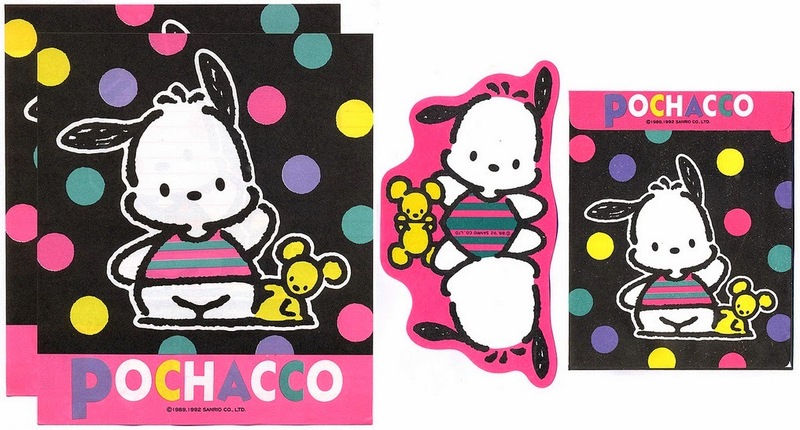 The difference here in this design is that Pochacco is wearing a scarf. A minor change that still works well for this design and with a purple background. I see a trend here: dark colors for the pup? I see REDs. 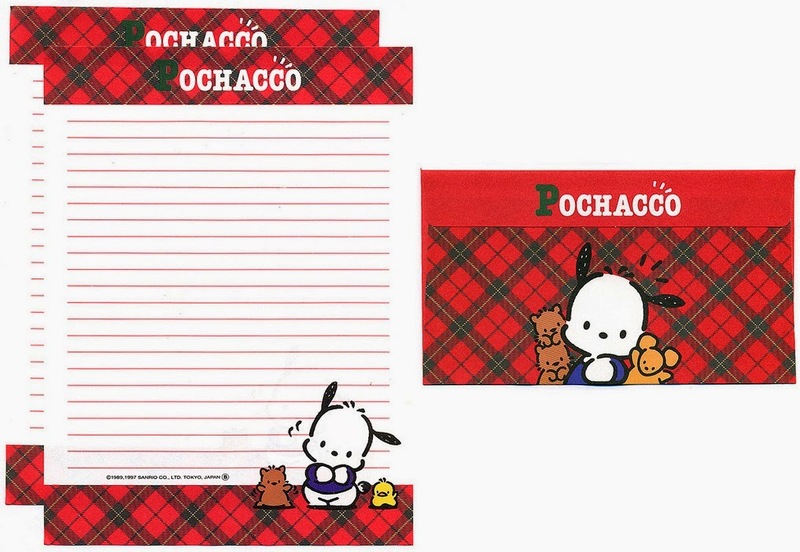 Yes, lots and lots of red plaid with Pochacco. 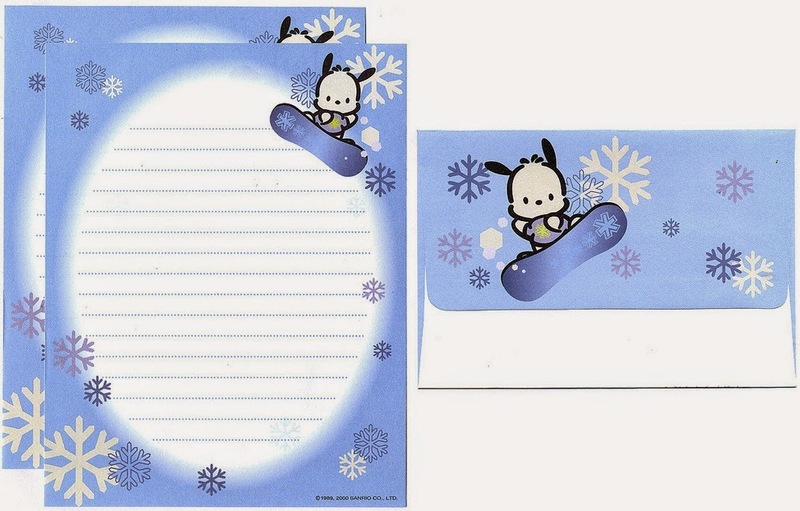 On items, this design must have been hella cute. Gimme! 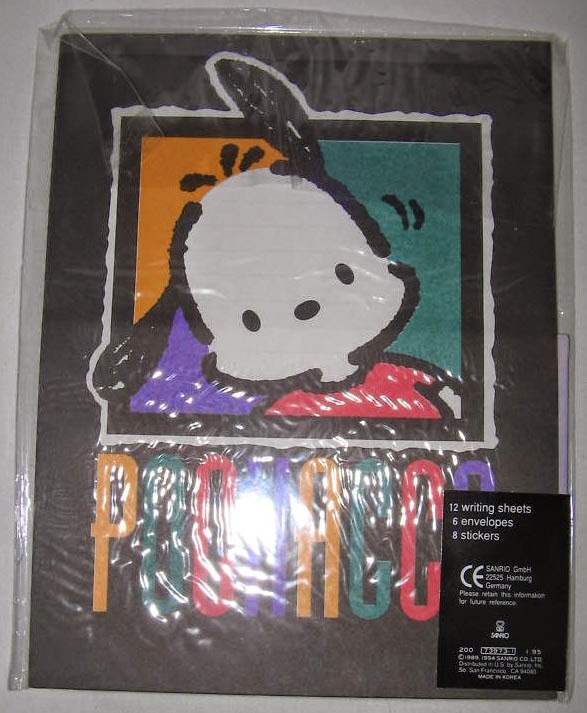 I see a row of adorable dudes that look like Pochacco! Wait! 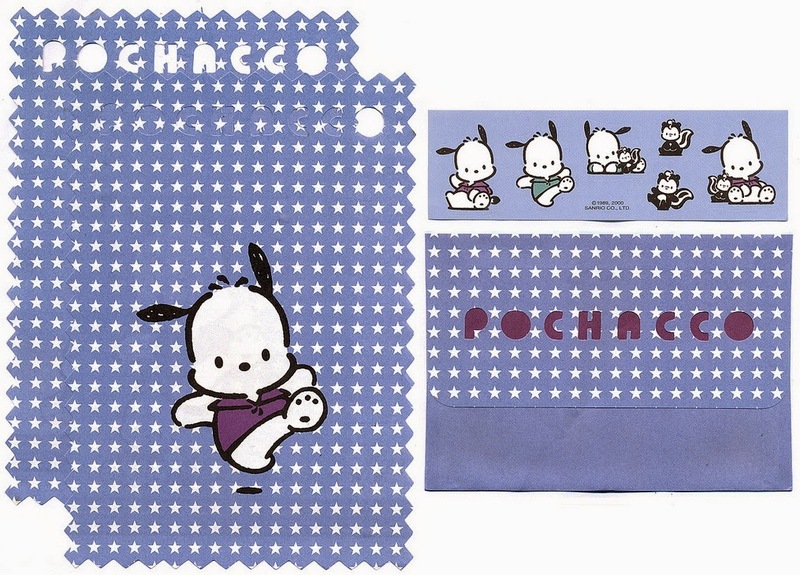 It is Pochacco in different outfits. Cool-as-smorgasbord! This puppy is flying high... in goggles! Wonder where this pup is racing off to? Pretty please with a Pretty P on top? Simple yet effective, isn't it? 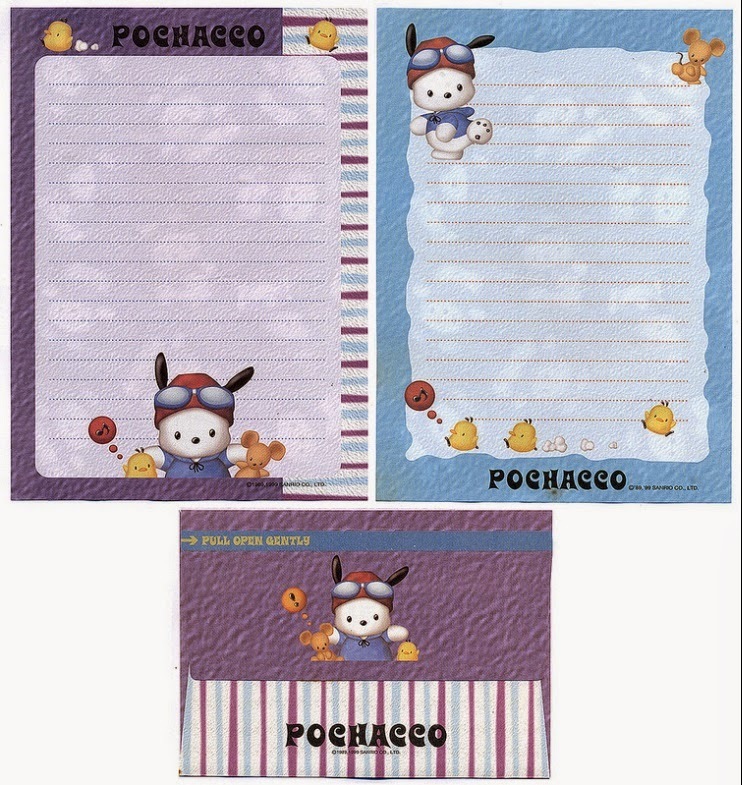 I'm definitely in love with 3D Pochacco! 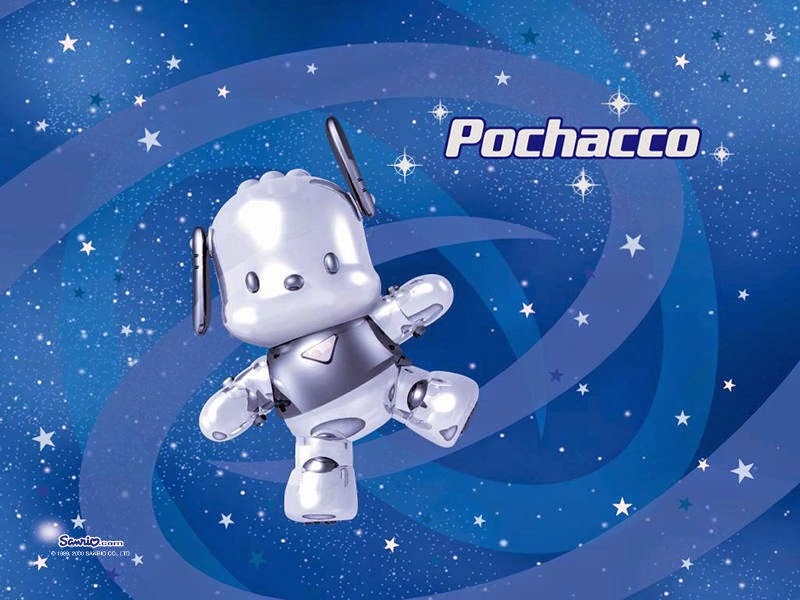 The stars, space & time, 3D Pochacco traveling the universe-- what else can you ask for? I think I'd need to see the full effect on the merchandise before I can love this ski design. 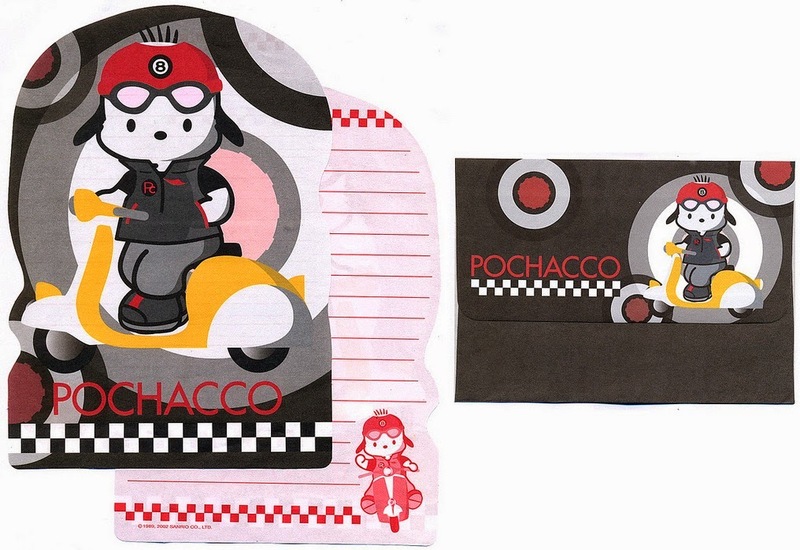 The moped Pochacco driving machine design is unique and a very cool design for those who love it. 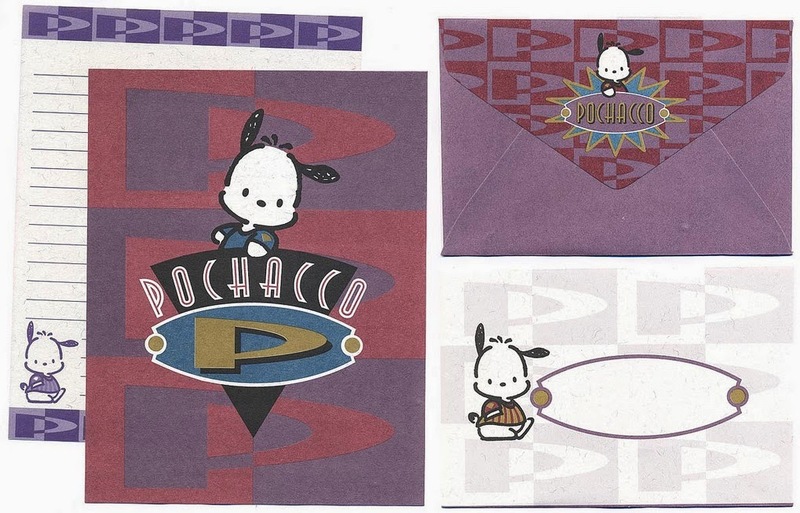 For me, it isn't one of my favorite designs of Pochacco. I can see guys liking the design. It's a more recent style and there isn't much to the design that makes me want to love this cute K-9. Too bland? There have been many more designs, but I have covered the basic ones that have stood out from the rest. If only we had a more better record of past designs for characters like Pochacco and Keroppi. 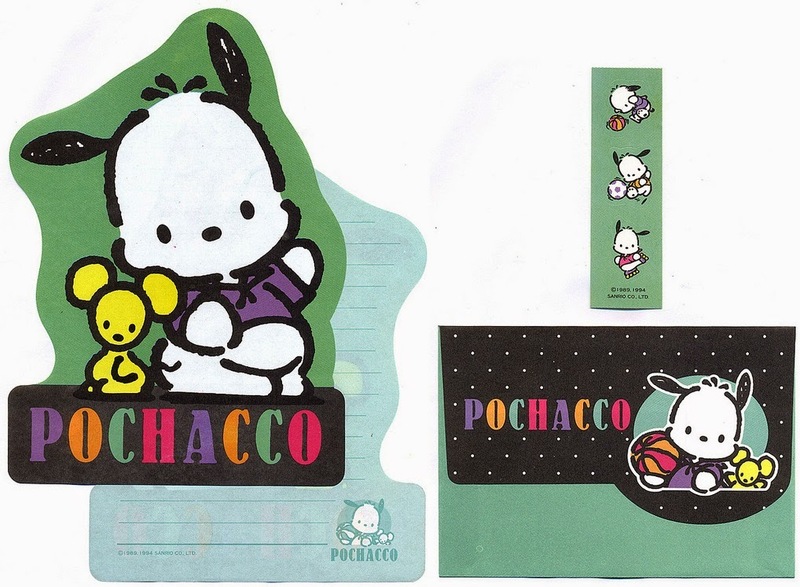 Until then, I have my Pochacco Sticker Album to go through to enjoy and see past designs that have been forgotten through space and time.